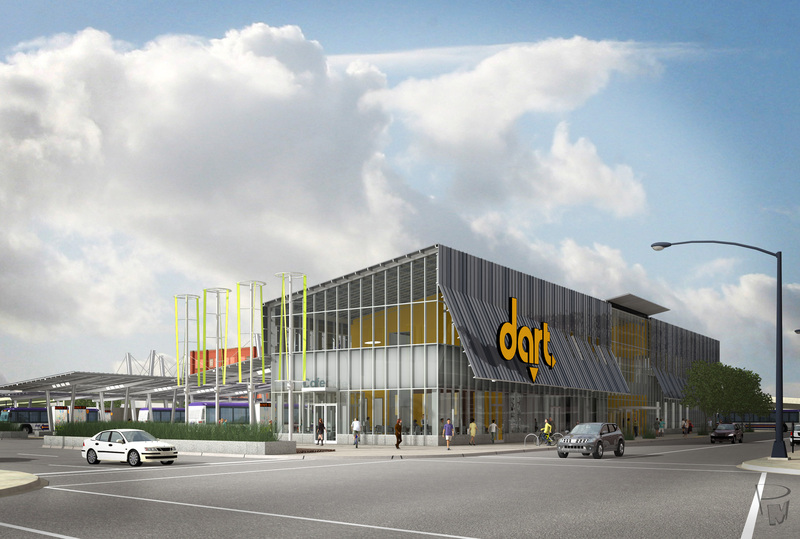 Great news this Friday afternoon from the offices of Senator Tom Harkin and Congressman Leonard Boswell: DART is receiving a $10 million grant for the Transit Hub, completing the funding package for the $21 million project. This means that when construction begins this spring, it won’t stop until the project is finished, as early as the fall of 2012. DART had faced the prospect of building the project of phases. The plan is for the blueprints to be complete by year’s end, bid the project out in early 2011 and break ground by spring. The new Transit Hub, to be located south of Cherry Street between 6th Avenue and 7th Street, will replace the transit mall along Walnut Street. It will give riders indoor waiting areas, public restrooms, and a customer service desk where they can talk with DART staff and buy bus passes. The 15 bus bays will be covered with a canopy so riders are protected from the elements when boarding and alighting. The Transit Hub will also have on-site security. The facility will feature green technologies such as solar panels incorporated into the canopy and geothermal wells to help power it. Now it’s only a question of “how soon.” Mark your calendar for two years out and let the countdown begin.